Sudan is currently experiencing its most severe economic situation since the independence of South Sudan in 2011. From the mid-1990s to 2011, Sudan experienced healthy economic growth largely propelled by the development of its petroleum infrastructure and the consequent oil exports. Its growth numbers were remarkable considering that the country was simultaneously embroiled in a civil war. Although the war mainly affected Southern Sudan, it also involved other parts of the country form the late 1990s until the Comprehensive Peace Agreement (CPA) and other regional peace deals formally ended the hostilities in 2005. This, however, only resulted in a short period of peace which was again interrupted by fighting in Southern Kordofan, Southern Blue Nile, and Darfur. The completion of the CPA, a narrow and exclusive power-sharing agreement, resulted in the expected separation and independence of South Sudan. With it, Sudan lost roughly 3/4 of its oil reserves and almost immediately faced economic difficulties. Although Sudan has sought to diversify its economy, especially by boosting the extraction of other resources such as gold, it has not been able to compensate for the huge dent left to its economy by the loss of the potential petroleum revenue. The arrangement in which Sudan is charging South Sudan exorbitant transit fees for its oil exports has done little to remedy the situation. Since 2011, Sudan has faced a number of demonstrations against increasingly difficult livelihoods especially when subsidies have been cut on food items and fuel. The country is currently experiencing a fuel crisis and all-time high inflation rate that has recently reached approximately 65 percent. The economic effect of much-expected easing of American sanctions in October 2017 has also been less than desired. The United States has maintained Sudan in its lists of state sponsors of terrorism and human trafficking. The Sudanese government has sought to boost the economy by obtaining investments and funding from abroad. Initially, Sudan looked towards its allies China and Iran for help but neither was either interested or able to cater to Sudan’s financial needs. While China became increasingly interested in South Sudan and had begun to move from its prior strong partnership with Sudan towards Ethiopia, sanctioned Iran was unable to deliver economic assistance Sudan was looking for. This resulted in a situation in which Sudan began to look for new partners. While pressured by Saudi Arabia, it deepened its ties with the Gulf States and became a partner in the coalition intervening in the war in Yemen. Although this has been financially beneficial, Sudan has also looked for additional assistance by flirting with Saudi adversaries Qatar and Turkey. Additionally, it has sought to improve ties with its immediate neighbors, especially Ethiopia, which may be seen as necessary for improving the overall economic situation. Moreover, Sudan has sought to benefit from its position as a transit country for refugees seeking to reach Europe. The European Union has entered into a contract with Sudan to fight illegal migration and human trafficking which has been financially beneficial for the latter. However, until today, none of the attempts to improve the economic situation have been sufficient to reverse the downward spiral. 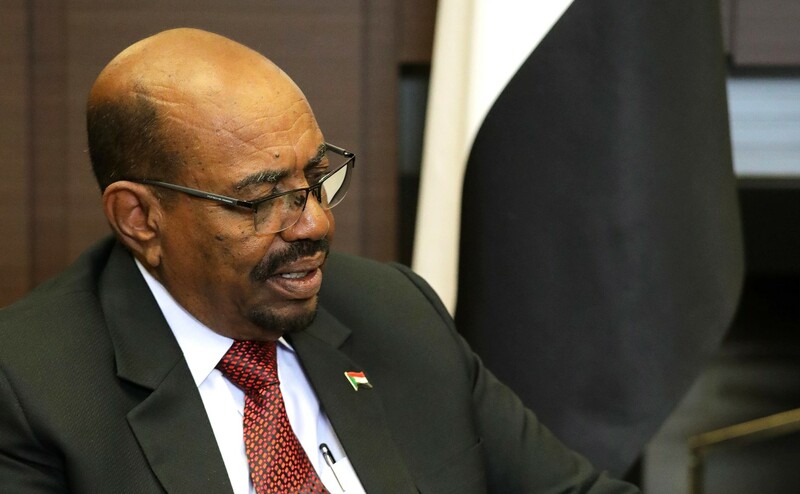 On September 10, Sudan’s President Omar al-Bashir announced the dismissal of the entire cabinet and reduction of ministries from 31 to 21 while also seeking to reduce their presence in the localities. As part of cost-cutting measures, a number of the ministries are to merge and the new cabinet is to be appointed shortly. These drastic moves form part of an ambitious plan for political and economic reform and are unprecedented for the leadership which came to power in a military coup in 1989. They appear to be an attempt to find solutions to political grievances and restore confidence in the rapidly deteriorating economy. However, although the dismissal of the whole cabinet is new, the leadership has engaged in a number of reshuffles over the years which have largely circulated members of the ruling party without significant effects on politics and economy. The measures taken may therefore not be sufficient for restoring confidence in the government and the economy. The drastic actions also come after the Forum on China-Africa Cooperation meeting in Beijing. It is suspected that although China appears to have offered Sudan support in its dire economic situation, this support is not likely to come without strings attached which may include the announced political and economic reform. China’s interest in Sudan are likely related to its continuous search for resources and lucrative investment opportunities to allow to bolster its decreasing domestic economic growth. Finally, and perhaps most importantly, political and economic reform is linked to President al-Bashir’s attempts to secure the third term in the 2020 elections. Although he has announced that he would like to step down, the ruling party has insisted on him running again. However, the current Sudanese constitution does not allow a third term and is likely to be amended in the near future to accommodate the ruling party’s position.